So the Miss Los Angeles Chinatown Pageant is over. I didn’t win. Sure, I can say that it was a great experience and I have learned so much. I can say that everyone is a winner at the end of the night. But honestly, those are cheap words to placate heartbreak. And if I’m painfully honest, my emotions at the moment consist of disappointment, heartbreak, and lack of self-worth. Though I entered the pageant on a whim (I’m definitely not a pageant girl by any means), I worked so hard in the past few months for a spot on the court. And as the curtain fell on the pageant and the guests exited the ballroom, my dreams of one day sporting a shiny crown on my head ended too. “Perhaps it just wasn’t meant to be,” I keep consoling myself. A crown on my head doesn’t define who I am. I know it won’t define where I go in life and what I plan to achieve in the future. I have so much going for me at the moment – dental school, teaching assistant positions, ASDA, Editor-in-Chief of a research magazine, etc. I should be proud of who I am and what I have accomplished thus far in my life. 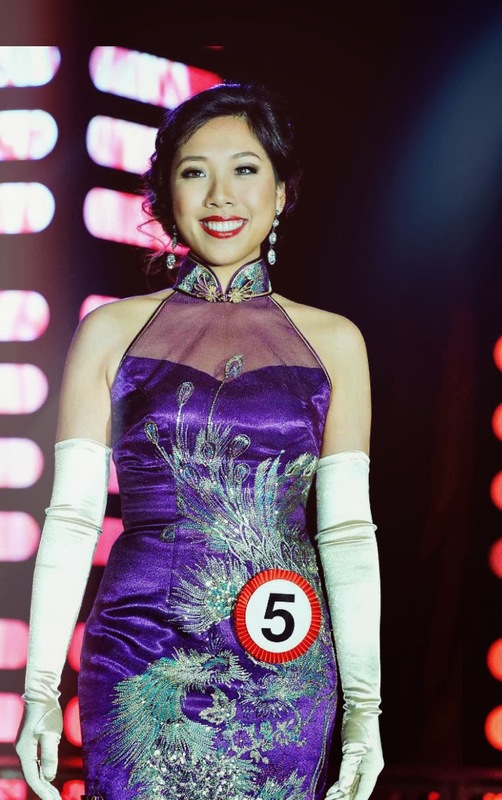 But no matter what I say, at the end of the day, I truly wanted to be a part of the Miss Los Angeles Chinatown court. I worked so hard for the pageant for three months. I was probably one of the most prepared girls going into the competition. I mastered walking in heels with elegance and poise. I never tripped up on the Q&A public speaking practice sessions during rehearsal. But on the night of the pageant, they read out the name of the Fourth Princess. Then Third Princess. Then Second Princess. Then First Princess. And finally, the 2014 Miss Los Angeles Chinatown. As quickly as it started, it was over. It was time for the contestants who weren’t called to exit the stage. We put on a brave face backstage and enthusiastically congratulated the winners. It wasn’t until I was alone that I started to lose my composure. My family and boyfriend tried to console me in the lobby of the Universal Hilton. “You were amazing onstage,” they said, “you definitely deserved to be in the top 3. What were the judges thinking? You gave a solid answer and walked with confidence throughout the show”. But they were moot words considering the fact that I had just lost the pageant. Even though I knew in my heart that I would have been an excellent ambassador for the Chinese American community, the judges didn’t see potential in me. I’m an overly competitive person so losing this pageant was disappointing, humiliating, and frustrating. How do you pick yourself up when you do your absolute best and it isn’t good enough? But life has to go on. I guess I can afford to spend the weekend wallowing in self-pity, so please leave me alone in my despair. I’ll move on by the week’s end. I’ll set new goals, map out a plan for self-improvement, and ultimately try to prove that the judges were mistaken for not believing in my abilities. Overall, I'm glad that I had the opportunity to participate in this pageant. Through the experience, I have truly learned so much. I've learned how to walk in heels, how to carry myself, how to speak, and about self-image. Yes, I'm a little emotionally battered and bruised from the pageant. 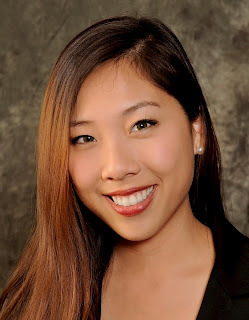 But I watched a recording of the 2014 Miss Los Angeles Chinatown First Princess during her on-stage Q&A section. I have to admit, her performance was flawless. All of the members of the court deserved their titles. Their performance on the night of the pageant was head-and-shoulder above what I put out there that night.